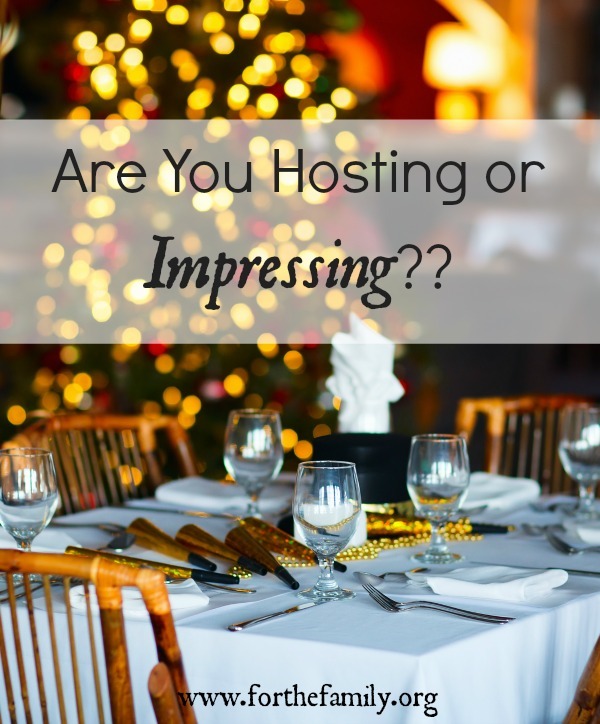 Are you Hosting or Impressing? There are so many opportunities for social endeavors over the Holidays. There seems to always be somewhere to go or something to do. 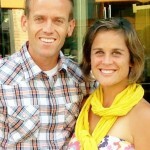 If you’re anything like my husband and me, we LOVE to host parties and things at our home. We love cooking dinner for people, we love making a fire in the fireplace, and we love providing a fun evening for couples or families. I love hosting and I love making my home an environment where people feel welcomed and honored. But…here’s the heart check that comes with that: Am I hosting people or am I trying to make a statement? Do people actually leave my home feeling loved and filled up (not just through food)? Or, do my husband and I become just another couple that gets out their cute dishes, displays the finest cheese, and tries to create a meal that has never been done before? Are we running around like crazy people beforehand, trying to make sure everything is in place and every rug is vacuumed? Or, are we praying for the guests that are about to join us and asking God for his blessing on the night? Opening up our homes and practicing hospitality is actually something the Bible talks about. 8 Most important of all, continue to show deep love for each other, for love covers a multitude of sins. 9 Cheerfully share your home with those who need a meal or a place to stay. 10 God has given each of you a gift from his great variety of spiritual gifts. Use them well to serve one another. 11 Do you have the gift of speaking? Then speak as though God himself were speaking through you. Do you have the gift of helping others? Do it with all the strength and energy that God supplies. Then everything you do will bring glory to God through Jesus Christ. Show deep love. Cheerfully share. Serve. Bring glory to God. *Do you enjoy the opportunity to ask good questions to your guests, giving them a place to talk and share and be known? Or, when people are in your home are you too distracted with entertaining that those things get put to the side? *How does God want you to SHOW DEEP LOVE this season as you open your home to your family and friends? What does that look like for you? *Can you find ways to teach your kids about loving people for Jesus and glorifying God, as you open up your home? (I think there have been seasons where my kids know the routine to “pick up toys, wipe off counters, light candles” more than the routine of intentionally loving the people walking in the door. Such a good reminder to host our brothers and sisters in Christ and not just try to impress them. My husband and I love to have our friends over just to share our lives with them, but I have been guilty of trying to “put on the dog” so to speak. I am thankful for this gentle reminder, I will have to share it with my readers (http://whatsoeverislovelyliving.com/) and pass along this great advice! Thank you Libby. I’m afraid I am sometimes guilty of this and needed this devotion to open my eyes, Thank you for sharing.